From 1973 (327 ppm), mother of Stein and Lies, born in Brabant, business economist, marketeer. The sustainable cookbook & website started in private, during 3 years Voetprint Cooking® was a sole trader, currently it is a private concept again. At 10 oktober 2012, the day of sustainability, the book was launched. Published by Fontaine Uitgevers. 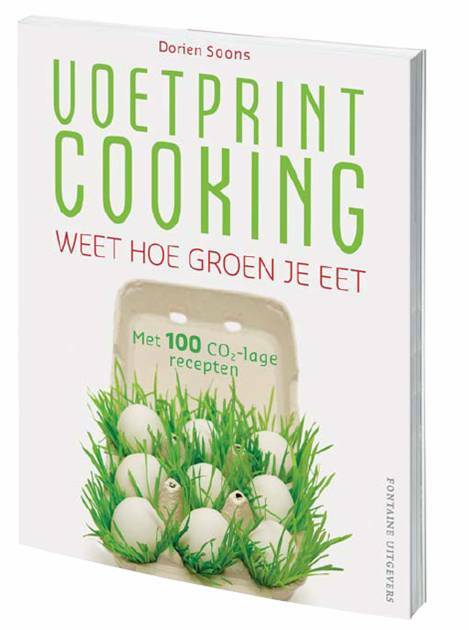 Voetprint Cooking® thanks the following companies/persons for their contribution to the launch! Order an example of Voetprint Cooking®! Would you like to receive an exemple? Please send me an email (dsoons@planet.nl) with your adress, then I will make sure you have the cookbook as soon as possible. The price for the book is €17,95 + €4,50 shipping costs.